The website doesn’t have any official info. In fact, it’s designed to convince you to buy the product by emotion. So is SynerFlex a scam? Judging after the 4 things I mentioned – it has very high chances. Well, I analyzed every aspect of this product. So let’s see what it can do. Note: This review is based on my opinion + research on SynerFlex. I’m not trying to praise/criticize this product or its company for no reason. Where You Can Find It: Only on the official website. But in reality, it’s (at most) effective for inflammatory pain. 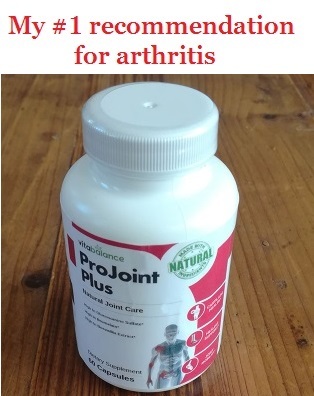 It doesn’t have any cartilage re-builders (like glucosamine and chondroitin), so it can’t possibly help cartilage damage and OA. My Rating: 2 out of 10 – I would stay away from it. I’m not saying it doesn’t work – I’m simply saying it’s way too expensive for what it offers. So it’s surely not a supplement I could possibly recommend. First of all – SynerFlex claims to have a miraculous formula, that no other joint product uses. Why? Mostly because of 1 ingredient – BORON. It could be “the missing link” in your joint health. Brands and supplement companies tried to hide it, because it was too cheap. So basically – it claims boron is a secret ingredient used only by their own company. But that’s not all. SynerFlex contains another ingredients that it really praises – HYALURONIC ACID. Hyaluronic acid injections are really expensive. SynerFlex has the same ingredient – but it doesn’t have to be injected. So it’s way cheaper than injections. Also – “it is believed” that capsules have twice as much power as injections. Now – here’s the reality. Hyaluronic acid has best results when it’s injected directly into the joints. If you take it by mouth – you need at least 200 mg for the same effect. SynerFlex has around 20 mg, so you can tell the difference. So basically – SynerFlex claims some things that don’t seem to be real. So to me – this kind of product is 99% a scam. But let’s analyze it more closer to tell for sure. Most of its ingredients have low doses. Has a really weak formula. However, it claims to use some “secret” ingredients (which is fake). So let me explain by taking a closer look at each ingredient. Now – let me tell you the truth about the major compound: Hyaluronic Acid. Guess how many mg has SynerFlex? 60% of 40 mg is around 25 mg – which is way too little. That’s the reason why Hyal-Joint is a pretty useless ingredient, in my opinion. This is actually the species Humulus Lupulus. However, there’s still very little info about it. So I wouldn’t consider it such a great ingredient. So it’s probably the only ingredient I can praise from this product. So basically – they claim to have the secret that treats joint pain miraculously. But its benefits for pain or inflammation aren’t that amazing. In other words – it helps, but it’s far from a miraculous remedy (as SynerFlex claims). Now – ginger has certain benefits for inflammation (but not major ones). Surprisingly – there’s no turmeric in SynerFlex. So I can’t really understand how can black pepper help here. Claims to use miraculous substances (that are actually pretty weak). Some ingredients have no point here – black pepper. Most doses are way too low (hyaluronic acid). Basically – SynerFlex claims to have an amazing formula, that no other joint supplement has. In reality – it’s much weaker than 30% of the products I tried. SynerFlex looks pretty good in terms of pills. However, the dosage it recommends is pretty deceiving, in my opinion. You end up realizing that 1 bottle isn’t going to last for 1 month – as it claims. Since they’re made of gelatin, SynerFlex’s pills should be swallowed easily. So that’s some good news. That’s where the real problem is. Now – the label recommends taking 2 pills per day, with meals. That sounds totally fine. In the first month, you should take 4 pills per day. They recommend taking 2 in the morning and 2 in the evening. If you do this, you have get the best results. Afterwards, you can get back to the recommended dose (2 pills per day). Now – I would never recommend supplements that require so many pills per day. It’s simply not good for your live. So that’s another downside of SynerFlex, if you ask me. To my huge surprise, this supplement isn’t as weak as I expected. Plus – I found lots of customer reviews about it, which makes it clear it’s not a big scam. So let me sum up the things I read about SynerFlex – based on customer opinions. Note: I only considered authentic reviews, not the ones base don general info. As in every products – opinions were very divided. However, I found lots of negative reviews (besides the positive ones). Some people say it really helps with inflammatory pain. Others say it’s totally useless. There are some who claims it works, but not as good as other products. Also, others say it needs a long time to start working. Some people complain that it’s too expensive for what it does. Basically – people’s opinions are very mixed up. But one thing is clear – SynerFlex does help some, so it’s not a scam (as I thought). I tend to agree here. Even if it does work, SynerFlex costs way too much for what it does. There are lots of joint supplements that work great, but they still don’t cost so much. In my opinion – that it the 2nd biggest downside of SynerFlex (after the formula). It’s extremely pricey for the quantity – so I personally could not buy it on a monthly basis. According to the official website – $39.95 per bottle. Even though I searched all over the Internet, I couldn’t find it any cheaper. You can buy 1, 2 or 3 bottles at once. However, you get no discount for buying 2 or 3 bottles. You only get free shipping for buying more than 1. But shipping taxes cost around $7 (so it’s not big value). Also, you have the chance to go for auto-shipping from the start. In this case, shipping taxes are free. So basically – the price per bottle is the same, whether you buy 1 or 3 bottles. That isn’t really fair, if you ask me. In the first month, you should take 4 pills per day (not 2). This means you’re taking a double dose. In this way, you’re finishing a bottle in 15 days. Basically – the first bottle will only lasts for 2 weeks. This means that in the first month, you will need 2 bottles ($80). From the second month, one will be enough. But even so, $80 for the first month seems way too much for me. So that’s another reason why I couldn’t possibly recommend SynerFlex. Unfortunately, SynerFlex is only available on the official website. But guess what? It’s either out of stock or discontinued in all 3. To me, that sounds pretty weird – all those brands had similar prices to the official website. Plus, they probably bought the supplement directly from them and sold it afterwards. That’s why I don’t really understand. But either way – the point is that you can only get SynerFlex from the official website. That’s it. I will try to answer the most common questions about SynerFlex. Note: I might repeat something I already mentioned, but it’s easier to spot here. So keep this in mind before purchasing SynerFlex. Normally – it should last 30 days. But as I said before, in the first month you need to take 4 pills per day. This means that one bottle will only lasts 15 days – so you will need 2 bottles in the first month. That’s $80 – so keep this in mind. SynerFlex has a lot of ingredients I’m not very familiar with. So I suggest you to ask your doctor first – especially if you’re following ant chronic treatment. It’s probably safe to take even with other drugs, but it’s better to be sure. I couldn’t find any info on the label/official website. Out of the ingredients, I know Boswellia can produce minor side effects – but they’re pretty rare. However, in case you notice any different symptom – just stop taking SynerFlex and you should be fine. In case that symptom is something more serious, make sure to see a doctor immediately. As it’s a herbal supplement – SynerFlex should need at least 1 month to start working (if it really works). However, the results depends from person to person. So as for every supplement – I recommend taking it for at least 1-2 months before you draw any conclusions. Here’s how I would sum up SynerFlex in 3 ideas. Basically – I couldn’t find anything amazing in this formula. Boswellia Extract is a really good ingredient, but it’s not going to make miracles alone. So for me all this “secret formula” story is just a hype – nothing more. So basically – that website is trying to convince you to buy because of emotion. It comes with all those promises and secrets – and it doesn’t focus on the product itself. That’s not the only product of this type I’ve met (see LunaFlex PM). But I would surely not recommend buying it, even for emotion. At $40 per bottle, I wouldn’t say it’s really expensive. But that’s not all. In the first month, you’re going to have to use 2 bottles (if you want to take the recommended dose). This means $80 – just to see if it really works or not. Well, I would surely not spend so much money on that – especially when there are way better supplements under $40. My Verdict – Is SynerFlex A Scam? Short answer: Not really – but in my opinion, it’s not too far. Claims to have a secret formula with miraculous ingredients (which isn’t so). There’s little information on some ingredients. I found very few studies that support its claims. Its website doesn’t mention much about the product. Instead, it looks like a personal letter with emotional stories. You’re going to need 2 bottles in the first month. For me this is more than enough not to trust SynerFlex. 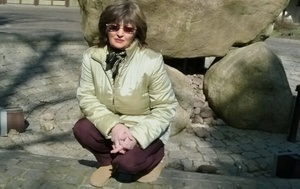 Now – the only reason I don’t consider it a scam is because I found some positive reviews about it. Obviously, there were lots of negative ones as well. But since there are at least 3 satisfied customers, it means it’s not a scam. Would I buy Synerflex? : Definitely not. There are so many great supplements on the market – for much lower prices. So instead of paying $80 on SynerFlex, I recommend getting a much better formula for less than $30. Oh come on, that boron is pointless for joint pain! I used a boron supplement at the advice of someone I know and didn’t feel a different thing. But I paid about $15 on it, and I was still sorry for the wasted cash. Who in the world would buy Syneflex for $40 when it’s so easy to spot that it promises stuff that will never happen?! I would surely not, better try a $15 boron and see yourself that it’s no good. Hi Chris, thanks for your opinion. I personally never tried any boron supplement, but I didn’t even hear anything about it (related to joint pain). If it was so amazing as SynerFlex claims, I guess it would be more famous, right? That’s why I don’t consider it such an amazing ingredient as they company makes it look. Hi Ryla, thanks for letting me know how SynerFlex worked for you. Now – I haven’t had a similar experience with SynerFlex, but I did have it with other products. It’s like your body stops responding to the treatment and starts tolerating it. You would have to increase the dose all the time – in order to get the same effect. But I surely don’t recommend you that, because you will end up suffering from side effects for sure. So I don’t think there’s nothing wrong with the other 2 bottles. It’s because of the formula, if you ask me. It’s not strong enough to work on the long term, so your body gets used to it very fast. I don’t know if you found the right supplement for your problem yet, but I know some that work really well for knee pain (on the long term). Maybe they can help more. Hi I wanted to buy this Synerflex supplement because I heard hyaluronic acid is good for the joints. I have an old knee pain that doesn’t go away forever and it comes back every 2-3 weeks. I tried some pain relieving drugs but just when I think I’m through with the pain, it strikes again. My doctor recommended some special shots but I don’t have a medical insurance, and they were really expensive. I checked the Internet and found out the are hyaluronic acid, so I was looking for a way to get them cheaper. So I saw there are many supplements with hyaluronic acid for joints and wanted to purchase some. But I hear some people this ingredient only works in shots, not in supplements. You also mentioned that but you also showed an article saying so, which is what I needed. I got back to my doctor and he told me the same thing, that hyaluronic acid pills are very little good. I plan to make an insurance shortly and get the shots, hopefully they can keep my pain away for longer. Thank you for the info from this review, it really saved me some good money I was going to spend on Synerflex. Thanks! Hi Joe, thanks for telling your opinion on SynerFlex. Unfortunately, things are true about hyaluronic acid – it works great when injected directly, but it’s weaker in supplements. That’s because its absorption is a bit problematic – meaning that not the whole quantity you take will get absorbed. However, hyaluronic acid pills can also work – it’s just that you need a pretty high dose. According to studies, best results appear when you take about 200 mg per day. Most products (including SynerFlex) contain under 60 mg, so that’s much lower. That’s one of the reasons I don’t really recommend hyaluronic acid in pills, only in shots. Making a health insurance sounds the best thing at this point, the shots might really help you. You can also use capsaicin patches when the pain strikes in. It won’t treat the cause (so your pain will return), but at least it’s a temporary reliever. Turmeric works great for knee and joint pain as well. And the good news is that you can find and take it in many forms – including powder for food and smoothies. Also, instead of SynerFlex – I recommend you some products that worked great for my knee pain. Some of them have better prices, so they won’t be a hole in your budget. Maybe this helps. Anyway, I’m really curious how the shots work for you. So if you manage to have the, please let me know the results. I did not like synerflex supplement, it does not work for my joint pain and it costs sooo high! Hi Gryz, thanks for your feedback on SynerFlex!